We just put out a major press release about the SMB Online Conference June 26-28. We have an amazing line-up of speakers. One is my brother and co-author Manuel Palachuk of Conceptual Age Consulting. Manuel is a coach and "outsourced COO" for managed service providers. One of the things he excels at is developing a powerful and productive culture within a company. That will be his topic at the conference. Sacramento, CA, June 21, 2012 – Small Biz Thoughts Technology Events announced that Manuel Palachuk – author and business coach – will be a featured speaker at the first major Online Conference for Small Business IT Consultants, Managing for Success 2012 in June, hosted by Small Biz Thoughts. Palachuk will speak on Cultivating a Successful Culture for Employees and Clients. Palachuk is the principal at Conceptual Age Consulting of Boca Raton, FL. He is the author of The Network Migration Workbook with his brother Karl, and the author of the upcoming book Getting to the Next Level: A Blueprint For Taking Your Managed Service Business To The Top. Conceptual Age Consulting provides management services and coaching for small and medium-size IT companies. 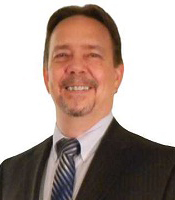 Palachuk is the former President of KPEnterprises Business Consulting, Inc. of Sacramento, CA and former COO for Network Technology Solutions (NTS) in Pompano Beach, FL. “Most businesses don’t spend a lot of time creating a culture of success,” said Palachuk. “Greatness never just happens. You have to build it intentionally over time. We’ll talk about how technology businesses can create a culture of success in everything they do.” Palachuk’s blog is at http://conceptualageconsulting.net/blog/. Other conference speakers include Ken Thoreson and Jeannine Edwards. Thoreson is a well-known sales management consultant, recently named as one of the Top 50 Sales and Marketing Influencers of the Year for 2012 by Top Sales World. See www.topsalesworld.com/topInfluencers.php for more information. Thoreson is the president of Acumen Management Group. For more information, visit www.YourSalesManagementGuru.com. Edwards is the Director of ConnectWise and LabTech Communities and will be speaking on how small IT companies can dramatically increase their cloud services revenue. Edwards has more than twelve years of diversified Business-to-Business development experience in the technology industry. She has become a well-known figure in the IT Solution Provider channel. Conceptual Age Consulting provides coaching and consulting to organizations, teams or individuals with only one goal in mind: to take your service-based business to the next level, and they have the blueprint to do it! They primarily work with IT Consultants, MSP’s, VAR’s and other Technology Service Providers. For more information, visit www.conceptualageconsulting.net.